Discount Spay/ Neuter options now available! We’ve rolled out our Discount Spay and Neuter options to allow pet owners with financial constraints a better choice than the local Discount Spay-neuter clinics for their pet’s surgery. Your pet is at a full service hospital. In case anything goes wrong during surgery, we can deal with it! Surgeries are performed in a sterile surgical suite– our Doctor is fully dressed in sterile surgical attire- discount or not! 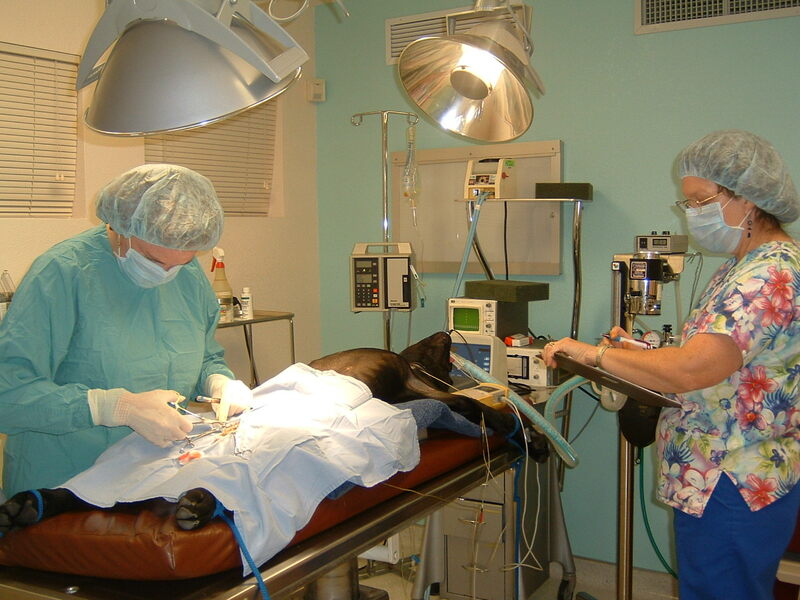 Patients will be attended by a dedicated Certified Veterinary Technician from anesthetic induction to recovery. Doctor to make individual adjustments in your pet’s drug plan. Intravenous catheter and fluids- provide immediate venous access for emergency in case they are needed. The fluids help to maintain healthy organ function throughout and after surgery. They also help organs metabolize sedatives and anesthetic medications faster, returning your pet to “normal” behaviors sooner. 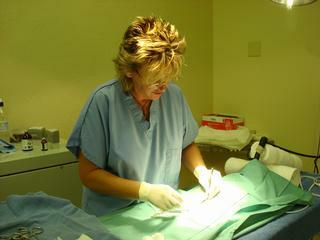 changes, minimizing the amount of anesthetic needed. These monitors also allow us to detect problems before they become anesthetic crises. 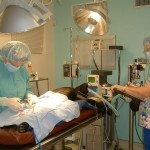 Proactive Pain Medication- Pets receive both a pain/ sedative injection and an anti-inflammatory injection before surgery, a pain injection during surgery, and another if they need it after surgery. They also receive pain medication to go home. We also offer a post op Cold Laser therapy treatment to minimize swelling and desensitize nerves in the area of surgery. 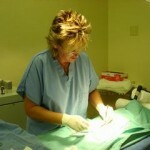 We believe that pets deserve the safest surgical options. They should not just survive surgery, but survive it Well– with a minimum of physiologic stress and pain. But, we also understand that many of our clients have financial constraints. ** We would rather pets were neutered and spayed, rather than not, just because of monetary issues. Also, we would rather have our patients’ surgeries done in a sterile surgical suite, with skilled anesthesia nurses in constant attendance, proactive pain management, and after care support should they need it! Contact Us today for an $Estimate!